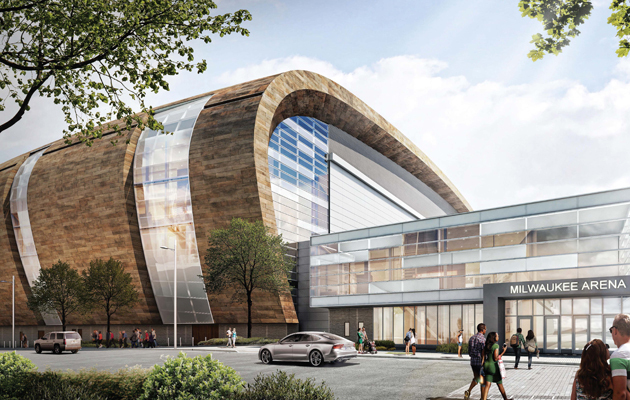 That striking visual you get from the planned new Milwaukee Bucks arena is a pre-patina zinc shingled long-span roof that seamlessly transitions to a vertical wall on one side of the arena exterior. 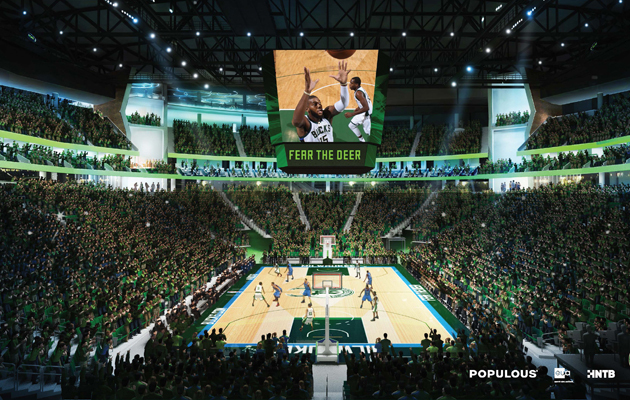 As the Bucks and architect Populous released new renderings of the planned arena in downtown Milwaukee, the zinc façade takes center stage. The curved nature of the section includes six vertical glass “ripples” that reveal activity at multiple levels within the new arena. A gradation of ceramic firt patterns on the glass helps offer even higher levels character on the looping roof-to-wall component. 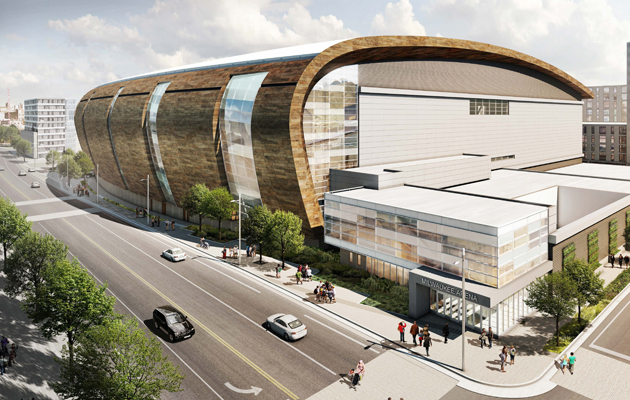 The hand-crafted zinc and glass exterior offers a unique look to the arena, meant to signify the “natural beauty of Wisconsin’s rivers, lakes and forests,” says Brad Clark, senior principal at Populous. 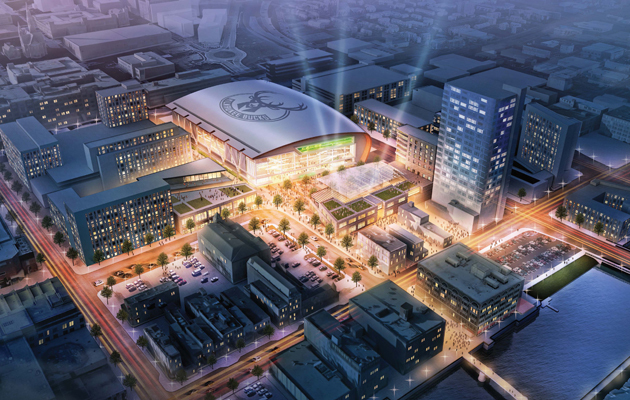 Overall, the new arena will take up 714,000 square feet as the focal point of a roughly 30-acre district that includes a Bucks training facility and other commercial and residential uses. 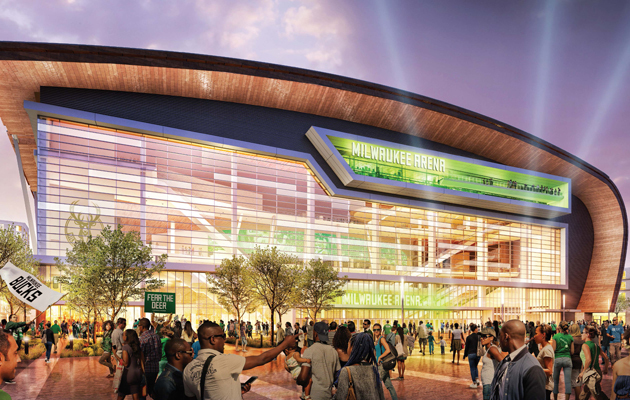 While designed for the Bucks, the venue will serve as a multi-purpose venue suitable for hockey, concerts and more. 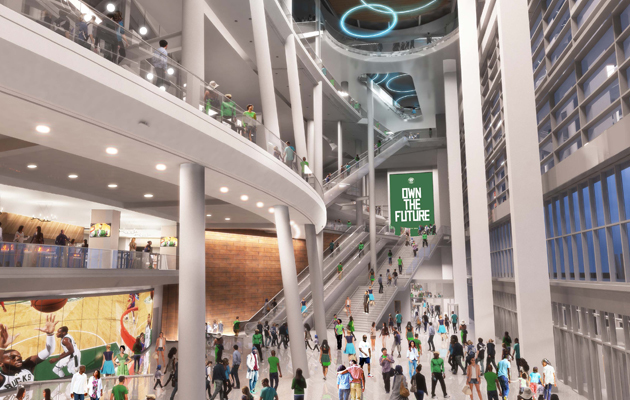 Both the upper and lower level seating bowls will load from the top down for a seating pattern free of breaks and open concourses will tie together social spaces, premium seating, two east towers of seating and the bowls. The primary entrance off a new public plaza includes a glass curtain wall to expose the full-height atrium inside that rises about 100 feet. 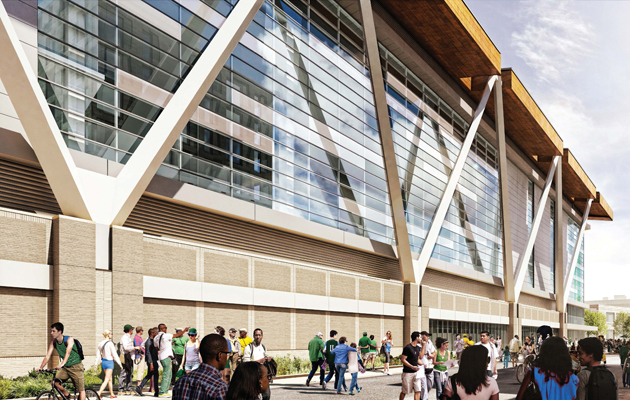 On the opposite side of the zinc wall, a brick base gives way to Y columns supporting a glass wall to expose more of Milwaukee to the arena. That is, if you can take your eyes off that zinc wall. Tim Newcomb covers sports aesthetics—stadiums, sneakers and more—for Sports Illustrated. Follow him on Twitter at @tdnewcomb.